Prime Minister Imran Khan on Sunday said that democracy in Pakistan could only flourish if it is based on accountability and merit. 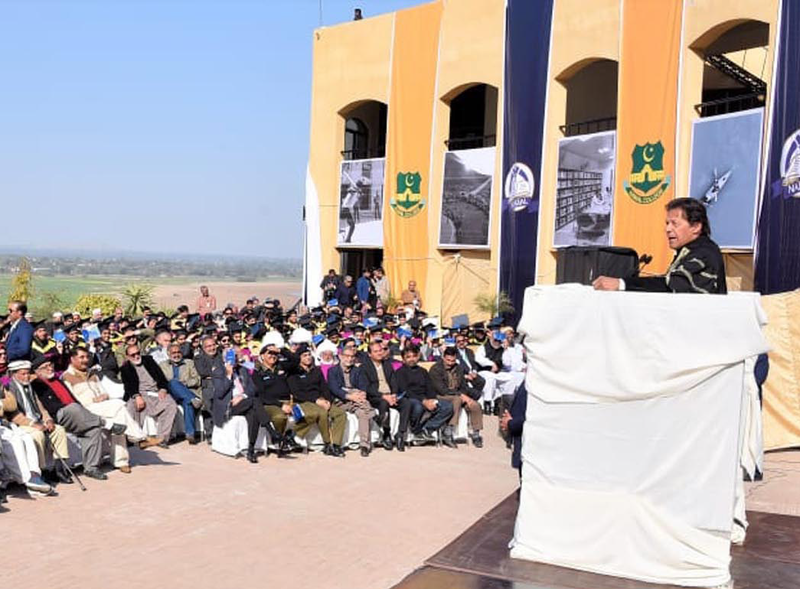 Addressing graduates at Namal College’s sixth convocation in Mianwali, the premier said the rea­son democracy never strengthened in Pakistan was because its previous leaders never actually worked to at­tain power. “In a functioning democracy, there is no space for hereditary politics and sincere leaders only rise to power after a period of struggle. Nawaz Sharif and Shehbaz Sharif faced no such struggles; they were hand-picked for positions of power,” the premier said. “Democracy replaced monarchy as the preferred governance system be­cause it is based on meritocracy and accountability,” PM Imran said. Citing China as an example, he said though the economic giant does not have a traditional dem­ocratic system, its governance model is one based on merit and accountability. Reiterating his commitment to serve the masses, the prime minister asserted that a nation can only rise if public money is spent on public welfare. The prime minister also spoke on the pressing need to improve the country’s economy. “We are blessed with natural re­sources which we have failed to ever properly utilise. Today, we are dis­proportionately reliant on imports and our exports have consistently declined over past decades,” he said. “A major reason for this has been our failure to adapt modern technology.